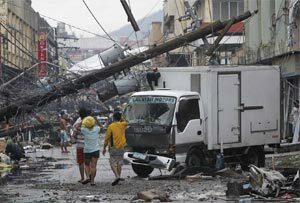 More than hundreds of fast track visa applications are expected from the people who are affected by the recent disaster of Philippine, Typhoon Haiyan. Last week, the government of Canada announced that the visa officers are working for the Filipinos to process their visa application as well as the working for the Canadians who a have already lost the documents of travel and who are seeking for emergency needs. “Those people need the help urgently because they have already lost their homes, they have lost their everything. This visa will help them a lot to help their family as well as their community. They will be able to bring their family members in Canada”, said Alexander.The immigration minister also invited the people of Canada to help the immigration department. The government of Canada will ensure the help for everyone who is seeking for the help. Philippine could be one of the top listed countries for the immigrants of Canada in next few years. The government of Canada had increased the target numbers. They were thinking about to set the number of visas to 17,500. It would help the people of Philippine who wanted to visit Canada. Due to this reason, the previous steps are stopped and the government of Canada is thinking about to help the people of Philippine in new ways. “There may be some other ways to show our help as well as compassion”, said the immigration minister Alexander. “There are a number of humanitarian programs that the Canada has for the refugees. There are many privately sponsored programs or even there are some government assisted programs that the people of Canada can look at”, the immigration minister said. He also said that he expects that the Canadians will take steps to adopt the Filipino children who have already lost their parents as well as their family. Canada is ready to help in every way. The government of Canada is hoping that the people of Canada will also come forward to help the storm affected people and they will support the Canadian government to run their programs successfully.